Home > India Demonetisation > Effect of Demonetization on Indian Real estate market..! Effect of Demonetization on Indian Real estate market..! Effect of Demonetization on Indian Real estate market.. Almost all the business sectors operating in India have been shaken tremendously by the recent demonetization announcement by the Central government. It came as a surprise to the nation in the first week of November when the Indian Prime Minister decided to bring all Rs. 500 and Rs. 1000 currency notes off the market. In the ripple effect, some of the industries that were operating majorly on cash transactions suffered a lot. For a sector that operates on black money by around 30%, real estate is the industry that is today staring into uncertainty – of its future and the players that will remain. But things are not as bad as they seem for the nation’s real estate market. Let us see more into it. Indian real estate market is famous for being on a see saw. The industry has seen it all – the best appreciation rate and the worst Saturity. · The premium segment real estate market is going to suffer the most at the back of the mass notion that it is where all the black money goes. · Affordable segment is expected to grow for the majority transactions in this segment are through legal channels. 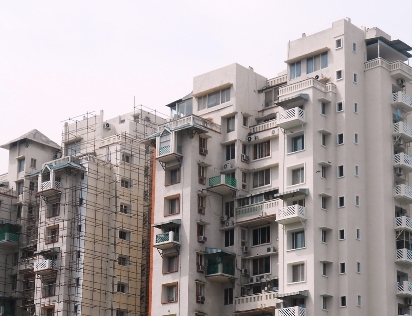 Also majority of the affordable segment schemes are launched by the Government authorities. · Tire 1 and 2 cities are expected to face the least blow. The majority of transactions here are done through banks, also the major portion of developers here are established, thus not seeking cash as much as the new entrants. · Tier 3 Cities are anticipated to get hit the worst. The fact that they see new entrants in the development category, the need for cash transactions would be maximum there. Also, the limited number of banks will only add to it. · Since the announcement of currency ban, property registrations across India have gone up, as home owners are trying to use their old notes. Once cash strapped, municipal corporations are finally able to get their hands on the money they deserve. This fund is expected to be utilized in completing stuck projects in the cities. · There will be no or minimal impact of demonetization on the commercial real estate market of India as most of the transactions take place through Cheque or demand draft. · Both the owned and rented commercial property is anticipated to see minimum affect. · This is the one sector that has seen a major setback. Landlords expecting the rent and security amount in cash have made people wary of switching their bases to some other rental accommodation. All in all, the effect of demonetization is expected to ride off with time. It would take two to three quarters for the tables to turn in favor of the property market. The money correction will bring with it corrected property prices, greater transparency, and will also bring an end to corruption that is prevalent in the industry. Finally, with black money out of the picture, Indian real estate sector will gain credibility bringing it greater foreign investments.